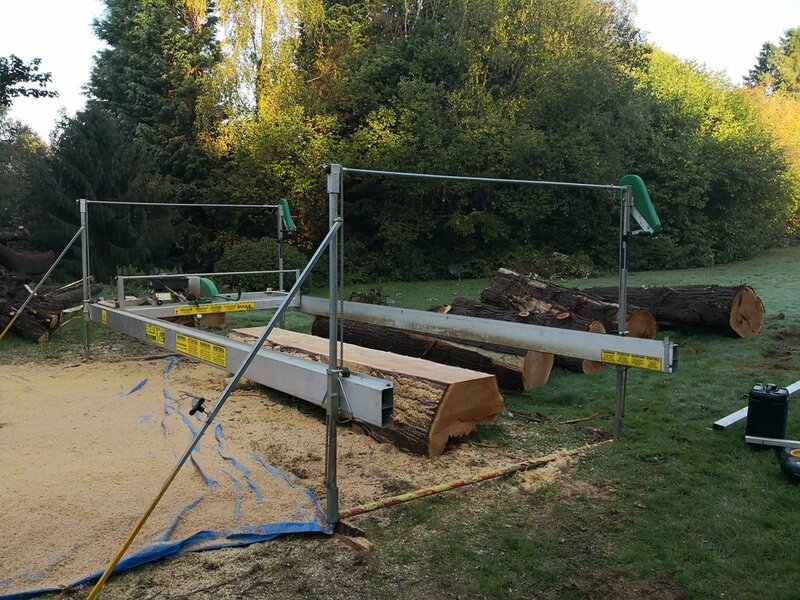 He was asked to removed a huge Western Red Cedar from a clients garden and we discussed the idea of milling the stems to provide some timber that could be used around the house and garden. WRC is a naturally durable timber which means it doesn’t need any chemical treatments in order to be used outside. It is also a very beautiful looking timber and is the most stable softwood which lends itself to construction use as seasonally it moves very little. It smells great which is another perk! 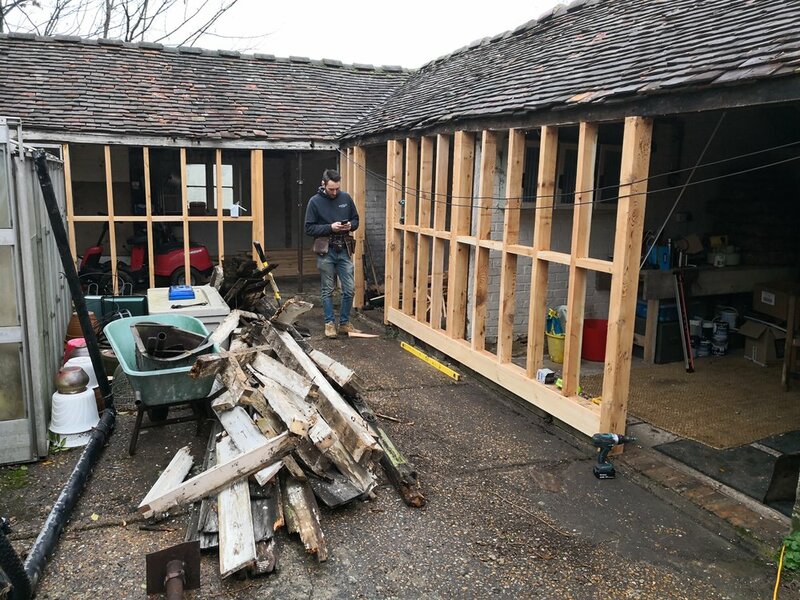 Between us we decided that the best use for the timber was to renovate an old horse stable that they had been using to store various things in. 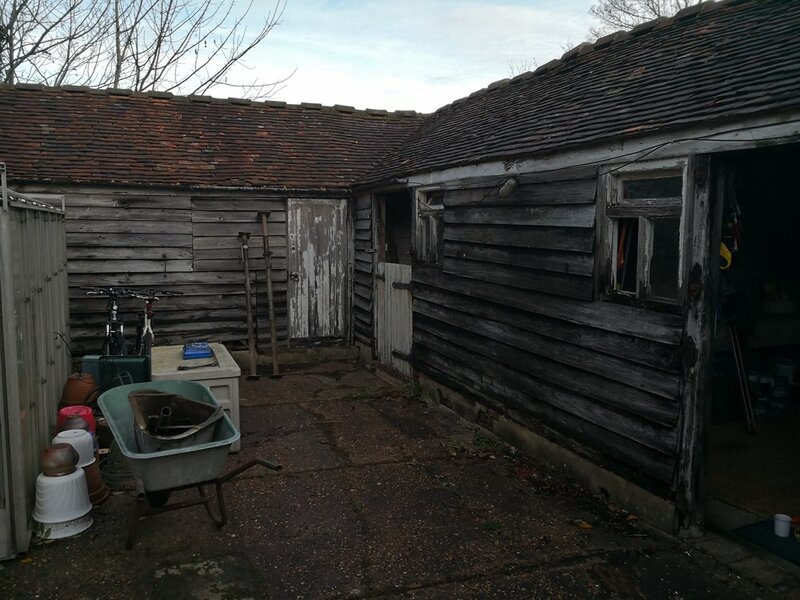 the old stud work and cladding were pretty far gone in terms of rot so we carefully dismantled the sides of the barn and used props to keep the roof held up. WRC is one of my favourite timbers to use for external building work. it cuts and takes fixings very well without the need to do a pilot hole for the screws - even close to the ends of the boards where you would usually get split out. I opted for the use of stainless steel screws and black coated fixings to maximise weather durability. All the timber used to build this was milled with my portable Lucas mill which was perfect for cutting the dimensions needed for a job like this.